National Media Development Center (NMDC) organized five days journalism training on Reporting Disaster & Reconstruction in Banepa, Kavrepalanchowk. Twenty (20) working young reporters including 3 girls actively participated in training and gained practical disaster and reconstruction reporting knowledge. All participant reporters were from FM radio stations, daily and weekly newspapers and TV Channels. In the five days sessions, they had gained theoretical knowledge for reporting disaster, pre-disaster, during disaster, post disaster and reconstruction, disaster policy, reconstruction policy and technical idea about multimedia use. Other topics included were: policies of the government, What the journalists should do and what not during disaster reporting? What are the challenges to the journalists while reporting on disaster? Do the reporters have basic knowledge on the use of multimedia? In this training, they also gained practical skill on the use of Google mapmaker, photography and video. They engaged actively in practical sessions. The sessions mainly were- group field reporting, discussions on several issues, presentations on different topics, writing news on disaster and rebuilding, issue identification, sketching maps, visit Google mapmaker and insert their own village in Google map, photography, and taking video clips for the preparation of news stories. Group work, field reporting, news writing, issue identification and Google map and photography were important practical sessions for them. Use and misuse of the support provided by the NGOs & INGOs in relief distribution, and reconstruction. Disappearing of women and children in the villages. What the participants learned from the five days training? We knew different types of tools and knowledge that are essential for disaster reporting. Journalists should have correct information for disaster reporting. Journalists should verify collected information before broadcasting/printing news. “We have learned several skills from this training. We have gained several ideas about writing news during disaster and reconstruction period, ” Pramila Sharma. Issues discussed were common. But, we had not paid attention. This training inspired us to pay attentions on key points such as code of ethics. collecting maximum information, verification, and impact analysis. We became able to identify issues and write them on professional manner. Journalists are responsible to bring changes in the society. Journalism is social responsibility theory. Brief inaugural and closing sessions were held in the first and last day of the training. Chief District Officer Arjun Prasad Sharma had inaugurated the five days training. At both sessions, senior journalists of the districts, Chief of different media houses were present. On behalf of NMDC, FNJ and the U.S. Embassy, Mr. Bishnu P Sharma (Executive Director, NMDC) had welcomed the participants and guests and had highlighted the theme, contents and methodology of the five days training. President of FNJ Kavre Narayan Sapkota had chaired both sessions. Chief Guests and senior journalists Prof. R.K. Regmee had distributed the participation certificates. At the end of the session, Executive Dire ctor had thanked U.S. Embassy Kathmandu for their support and FNJ Kavrepalanchowk for their coordination. In the training, Chief trainer and senior journalists Prof. Ram Krishna Regmee, Badri Tiwari, and trainer Saurv Dhakal, had facilitated. Bhim Gautam and Bishnu P Sharma had also presented in the sessions. 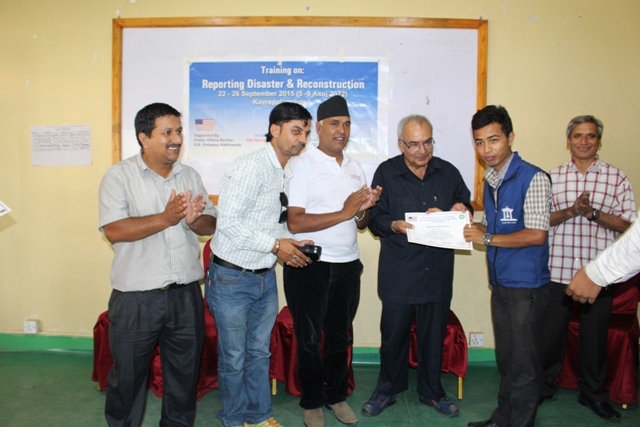 It was the second training of the year 2014-2015 (Fifth Phase) focused on disaster reporting and reconstruction organized in association with the U.S. Embassy, Kathmandu. First training was organized in Dadhing in Sept 2015. In first phase 2010-2011, NMDC had organized trainings in Doti, Parbat, Dolakha, and Panchthar districts focusing to women journalists. Similarly, in second phase year 2011-2012 remote districts such as Humla, Gulmi and Rasuwa were covered. आज नेपालनै आफ्नो ठाने . 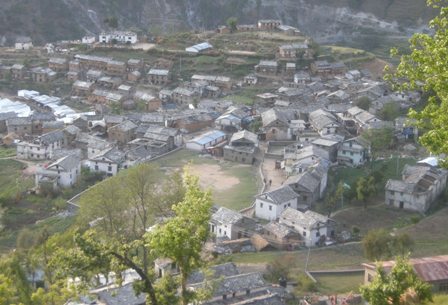 पाईला तपाईका नेपाली पार्नुहोस् . राष्ट्रप्रेम, राष्ट्रधर्म र माटो पानी सङगै बेच्दा . Background National Media Development Center (NMDC) established in February 2007 (B.S 2063.11.14) to help build the capacities of the provincial media and journalists in Nepal and developing countries is providing THEME based journalism trainings to media person working in rural districts. The capacity of the district journalists and managerial skills of small media houses have to be strengthened in order to safeguard democracy, improve living standards and bring harmony and happiness in the society. NMDC is fully dedicated for the institutionalization and promotion of free media as the foundation of democracy, pluralism and economic development. We trust that an independent and financially sustainable and professionally strong media can create a well-informed citizenry. The specific objective of NMDC is to provide support for the establishment of an independent, financially sustainable and professionally strong provincial media in Nepal and other developing world. To encourage local journalists to establish professional and independent media in the district where no media exists or the media that are struggling to survive. 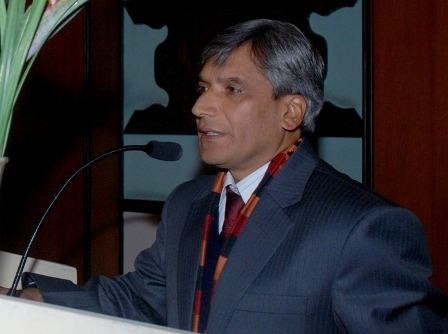 NMDC’s main working areas are: *Media Management Training, Journalism Training- Development Journalism, Public Health Journalism, Civic and Citizen Journalism, Remote District Focused Basic, Intermediate, Advanced Journalism and Social Media Trainings) Media Research and Publication *Media Policy Dialogue * Media Exchange. Currently our activities are centralized on Trainings. NMDC, so far has organized 86 trainings in 66 districts on various themes to 2119 trainees representing from 74 out of 75 districts of Nepal. Among them, 1211 are male and 908 are female. Its trainee-network has reached to 74 districts. Most of them are remote districts. 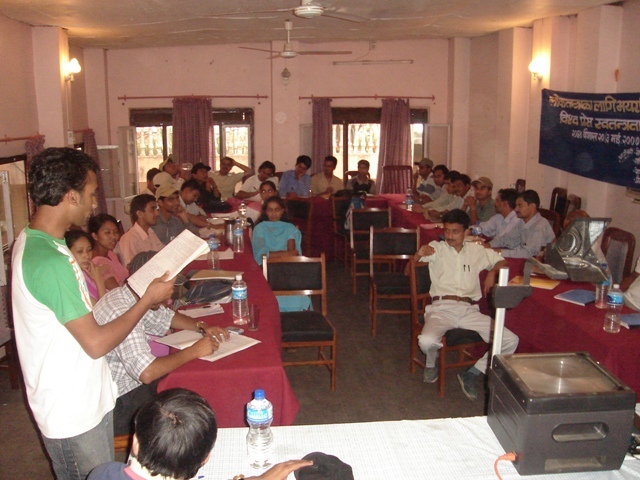 It has organized trainings in all districts of Far-West Nepal. In Mid-west only Salyan and Jumla have remained. 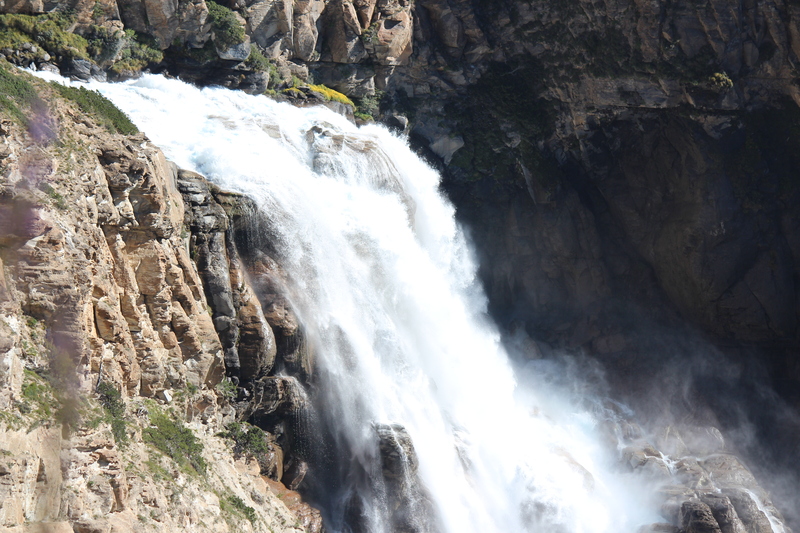 It has organized in Humla, Mugu, Kalikot, Dolpa, Jumla, Dailekh, Rukum, Rolpa, Myagdi, Parbat,Rauwa, Taplejung, Terhathum, Sankhuwasabha, Bhojpur, Khotang, Okhaldhunga etc. 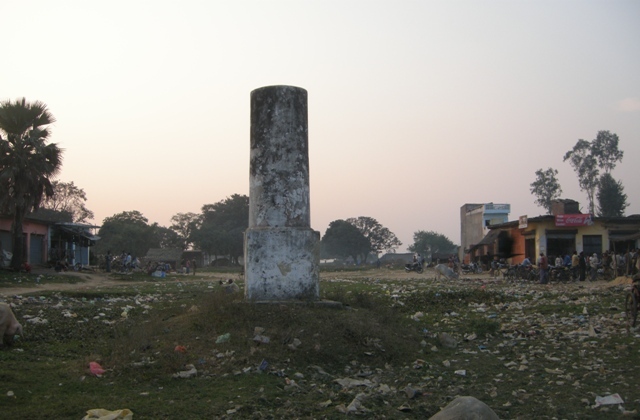 Major remote districts covered in Terai are: Saptari, Rautahat, Kapilbastu, Bardia, Banke, Dhangadi, Kanchanpur and Bara. NMDC’s 95% activities are district centered. NMDC focuses its programs for rural journalism giving high priority to professional, investigative and development reporting. On rural journalism component it provides five day– Basic, Intermediate, Social Media and Advanced Journalism Trainings. Rural media empowerment is the nerve of NMDC. It has reached in the most rural part of the country and began its first training from district. Altogether 1023 including 487 women of 40 districts have received this training. Training contributed the trainees mainly on: principles of journalism, news and source identification, confidence building, code of ethics, news writing tools, quality presentation and use of social media for information sharing. 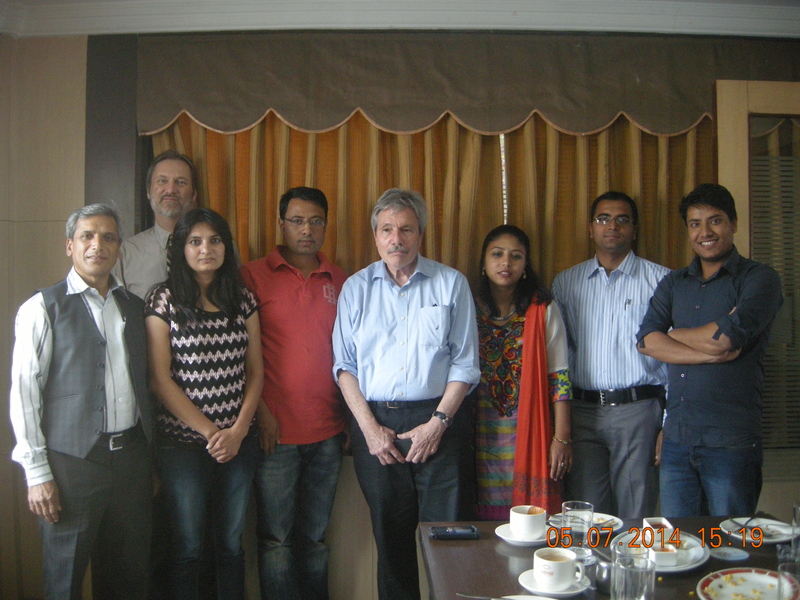 NMDC is the pioneer in providing Public Health Journalism Training in Nepal. The training opened the eyes of the journalists to identify different public health issues that were ignored and disregarded. After the training, news quality, presentation of verified information and health news coverage in local and national media have been increased. There was also high impact of the health news in the society. People especially rural illiterate women having severe health problems due to ignorance have reached health centers seeking treatment after listening news broadcasted by NMDC trainees via local FM radio stations. In health alone, it provided five day training to 350 mid-career journalists including 144 women participating from 60 out of 75 districts of Nepal. NMDC had published bi-monthly Health Journalism Feature Bulletin and trainees were awarded health journalism Fellowship. To address the need, NMDC, therefore started Development Journalism Training aiming to enhance the journalist’s skill on development reporting. Several unveiled local development issues have been appeared in local media after the training. To date, it provided 5-day training to 231 journalists including 124 female participating from 53 districts. Status of beliefs and social dignity is disappearing. Developing civic sense in the society through media and support to good governance and development is its main objective. NMDC has provided two-day civic journalism Training /Seminar to the journalist working in the districts. It has organized 11 workshops in different districts and has provided training to 362 journalists including 91 women covering participants from 45 districts. NMDC has incorporated tools and tips for disaster reporting. It organized Disaster focused training in Parbat, Arghakhanchi & Dhading. There were 64 participants including 34 female. NMDC organizes national and international level seminar in Kathmandu. NMDC’s five year plan 2015-2019 has identified media research and publication and media visit programs as major activities second to trainings. U.S. Embassy, Australian Embassy, Open Society Institute (OSI) London, (2008-2011), NFHP-II/USAID 2012, FES Nepal, Department of Information, Ministry of Information and Communication, Nepal, IPAS/Family Health Program (2011-12) etc.